Son of Gopal Das (Imam Baksh) is credited with giving the Dagar tradition its present form. He travelled to Benares in his youth to learn from Kalidas Dagur, who accepted him as his disciple after subjecting him to many tests, trained him to be an outstanding musician and a scholar. He later served in various imperial courts and received many grandiose titles. It is said that he owned an elephant, and would ride on it whenever he visited his patron Maharaja Savai Ram Singh of Jaipur. He was renowned as a great teacher and a scholar, and trained his nephew Mohammad Jan Khan who had a beautiful voice and showed great promise but left home after a disagreement with Baba Behram Khan at a public performance. Mohamad Jan went away for good and was never seen again. 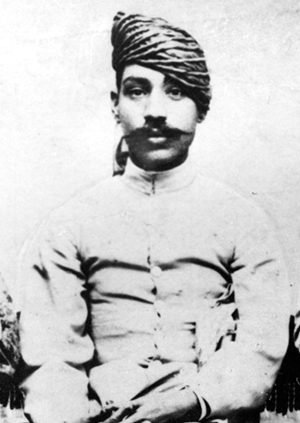 A repentant Behram Khan then took up the task of teaching Mohammad Jan Khanâ€™s sons Zakiruddin Khan and Allabande. He had many disciples and trained many Khayal singers too. He is credited with developing the elaborate, methodical, grammar bound system of alap of the Dagars.